CARIBOU & FOUR TET – DOUBLE THE FUN! It’s true! One of the most anticipated tours of the new year is no longer a mere message board fantasy. Dance music most creative properties, Canada via Camden’s Caribou and Camden local Four Tet, are confirmed for a double-bill of these parts taking them to Auckland and the Splore Music Festival, to Sydney and the Playground Music Festival, to the Perth International Arts Festival and various points in between. In the last twelve months both Caribou and Four Tet have achieved respective career peaks. In the case of Caribou – a/k/a Dan Snaith – this has come via the release of his stunning new album Swim. As an artistic statement Swim rewards on all fronts. Not only does the music of Swim beguile but the accompanying video for lead single Odessa (just shy of 1,000,000 you tube hits) and second single Sun, showcase the artistry of a performer at the top of his game. 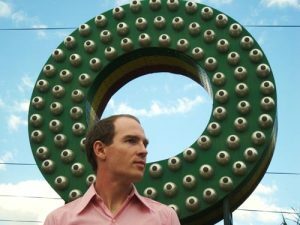 Hell, Caribou even landed himself solid alternative radio-play with Odessa! “I got excited by the idea of making dance music that’s liquid in the way it flows back and forth, the sounds slosh around in pitch, timbre, pan… Dance music that sounds like it’s made out of water rather than made out of metallic stuff like most dance music does,” Snaith says. Four Tet (a/k/a Kieran Hebden), mean-time, followed the release of his hugely received 2005 album Everything Ecstatic and 2008 mini-album Ringer with his 2010 opus There is Love in You. Featuring the techo-trip out that was first single Sing and the bliss of second track Angel Echoes (remixed by both Caribou and John Hopkins) the one-man ensemble continued to push the boundaries like only he or his friend Caribou would. 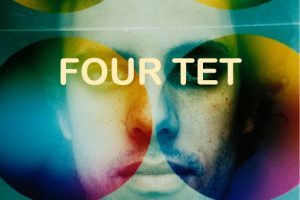 Another recent milestone for Four Tet was his collaboration with fellow UK artist Burial – a former school friend of Four Tet. The resulting single, Wolf Cub, released on Four Tet‘s own label imprint Text Records went on to become the UK’s biggest selling 12″ for 2009. All the while Four Tet continued to hold down a monthly residency, DJ’ing at London’s Plastic People club playing 5-6 hour sets one Saturday every month for 15+ months. Ladies and Gentleman we are proud to present the amazing double bill of Caribou and Four Tet.